(NewsUSA) - As warm weather approaches, so does wedding season, and family-focused entertainment network UP TV heads down the aisle with a pair of new, unscripted series set to debut this summer. The series, "Our Wedding Story," takes viewers inside the relationships between the brides and grooms. With exceptional and cinematic storytelling, viewers will get to live each couple's love story - from the moment they met to the walk down the aisle. 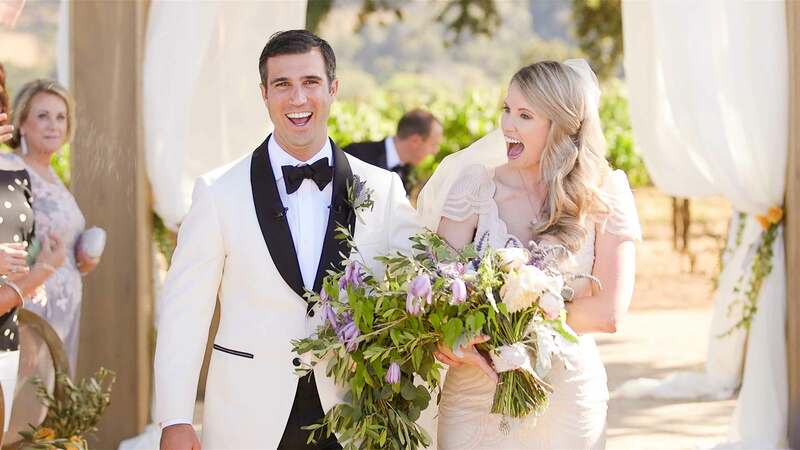 In "Crazy Beautiful Weddings," viewers go behind the scenes with busy wedding planner Lynzie Kent. Wedding planning is an art and a science, and Ms. Kent brings her style and people skills as she navigates diverse tastes, the couples' visions and various venues, to create one-of-a-kind celebrations for her clients that will make the big day something to remember. "On UP, our viewers have seen the families in our beloved series exploring new relationships, planning weddings and having kids," Amy Winter, executive vice present and general manager of UP TV, says in a statement announcing the shows. "By greenlighting new series that focus on those specific life moments, we invite our audience to experience all of the joy and excitement that many different couples are going through as they share their personal journeys of life's biggest moments," she says. The pair of wedding programs complement new episodes of two existing shows that highlight another one of life's biggest moments - the journey to parenthood. This spring, UP premieres new episodes of its groundbreaking series, "Expecting," which follows expectant parents as they prepare for a new addition to the family. With no producers or camera crews, it is the first show that asks couples to turn the lens on themselves, to give the audience a peek into one of life's most exciting and personal journeys - welcoming a child. Also premiering in April is "One Born Every Minute." The series takes viewers inside a hospital maternity unit to experience the joy, excitement and drama as babies are delivered. UP is available on DIRECTV, DISH, Verizon Fios, AT&T U-verse, Xfinity and local cable. For more information about the family-friendly programming and where you can find the channel, go to UPtv.com. To find more details on social media, check out UP TV on Facebook at https://www.facebook.com/Uptv, on Twitter on @Uptv, and on Instagram at UP_TV.